with a smart Instagram strategy! When it comes to digital advertising, it’s a common mistake for businesses to only pay attention to Facebook. Brands across the board often fall guilty to this, and we don’t blame them. But when you’re looking to revamp your digital presence, it’s worth turning an eye to the powerful platform of Instagram, too. Proving to be a very effective way to reach audiences, utilising digital marketing strategies through the platform can help you reach otherwise unattainable success. And we know exactly how to achieve it. Currently, Instagram has 9 million monthly active Australian users scrolling away through the platform, adding content and sharing experiences. Most importantly, a majority of these users are engaging with brands and converting into loyal, repeat customers. As a reputable Instagram advertising agency, we can deliver ultra-targeted campaigns through this innovative platform. Our experts in Brisbane, Melbourne and wider Australia have a knack and passion for harnessing the power of hashtags, generating quality content and enlisting the support of influencers. The result? A holistic approach to garnering you authentic engagement on one of the world’s most prominent social media platforms. Research has shown that the channel actually blows other social media platforms away in terms of engagement; with people sharing, liking and commenting at a rate 10 times higher than Facebook, 54 times higher than Pinterest, and 84 times higher than Twitter. At our Instagram advertising agency in Brisbane, we take those numbers and put them to good use. Focusing primarily on images and video, Instagram’s features cater to a more time-poor audience who are enticed by visuals over the written word. Employing a plethora of strategies to boost your Instagram paid advertising efforts, we’ll reach an explosive, active target audience you never even thought you had. Hashtags are king on Instagram and the selection of the right ones are the ideal way to streamline high volume of engagement. Luckily, we’re also pretty good at setting the good ones apart from the not-so-good, allowing us to carefully strategise our approach. Additionally, our campaigns can incorporate the growing trend of influencers – a key component of Instagram success. According to Statista, influencer marketing is projected to be a $2.38 billion market by 2019, and we’ve got all the right tools to help you tap into that. As a result, you can enjoy an extended reach to a massive audience, and digital marketing efforts that further your return on investment. Win-win. There are many ways you can use this platform to boost your business’s reach and generate leads and conversions. But the most successful way takes a lot of planning, research and analysis. Luckily, that’s kind of our passion. At our Instagram marketing agency in Brisbane, Melbourne and Australia, we create engaging content that tells the story of your brand, all the while appealing to your target audience. It is not about the hard-sell either, and we know how to juggle a sense of thought leadership and authority that brings credibility to your target audiences’ feeds. During this process, we keep hard at work to send people over to your website directly, where they can engage and convert to become loyal, repeat customers. While Facebook is still the dominant social media platform for both users and advertisers, the pendulum is beginning to swing. 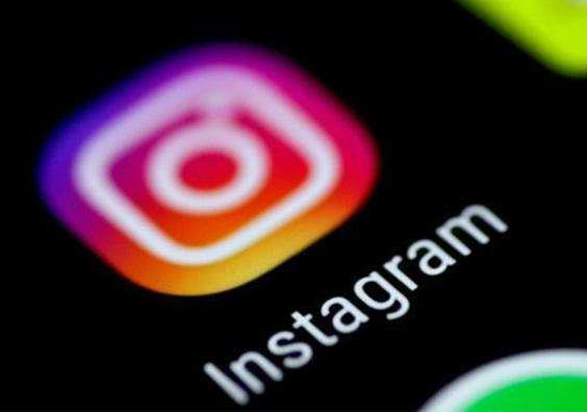 Recent research towards trends on the platform has shown that advertising spend increased in Instagram from about 12 percent of the total revenue spent to about 16 percent in 2018. In the same period Facebook eased from 75 percent to about 68 percent. This shows that Instagram is rising as a preferred option for advertisers and this has a lot to do with the high level of engagement you can get through the social media platform. While the cost per click is higher than Facebook, the overall level of interaction from your potential consumer base means that there is greater scope for conversions, sales and funnelling traffic to your website. Combining this all together in a streamlined campaign, we can help you leverage your Instagram paid advertising efforts to become a powerhouse of brand authority. Contact tprmedia today to find out how our agency in Brisbane can help you further establish your presence on Instagram. Call now on 1800 896 599. We like to get a little social, so you don’t have to.